GARY SHAW + FORTITUDE S3 | Wizzo & Co. Airing tonight on Sky Atlantic the final season of Fortitude, shot entirely by Gary Shaw. 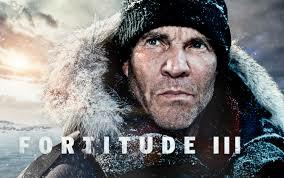 Directed by Kieron Hawkes and shot on location in Bristol and Svalbard, Norway, in arctic conditions hovering around the minus 40 degree mark… Dennis Quaid, Luke Treadaway, Richard Dormer and Sofie Grabol feature. These final 4 episodes are also available on demand.